10 October 2017: It was a Blast! Loved it! Fantastic crew. Great snorkelling. Way to go guys, keep rocking! You gave me a great life experience. I'll be forever thankful! Booked because of the great reviews. It was excellent - 5 star. Loved snorkelling. Fantastic helpful crew. Good on board facilities. Excellent food + drinks. Nothing is too much trouble for the excellent/hardworking crew members!! They're very knowledgeable. Felt very safe. Awesome! Best part was scuba diving + 2nd snorkel. Food was great. Than you for an amazing experience and memories! We had a brilliant day as a group of seven, with several of us trying out scuba-diving for the first time whilst the others went snorkelling. Special respect to Amy for her patience and support with me as someone who can't put his head under the shower without hyperventilating, yet ended up snorkelling on his own on two of the three opportunities available. Nothing was too much trouble for the staff, from the food to the advice and to patching up our daughter's foot after an accident - nothing to do with the diving I hasten to add! Highly recommended. I booked this tour because they can accommodate non swimmers. The crew are great: they look like they all like each other and they are knowledgeable and helpful. 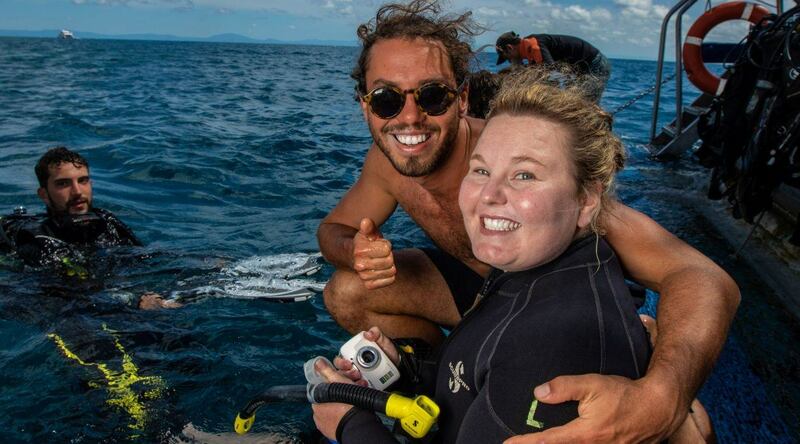 The best part was when Angus toured me around the reef :) Thank you for making me comfortable in the water. You made a life long dream come true! Booked Reef Experience because it's the best bang for the buck. Awesome, super friendly & knowledgeable crew. The intro dive and the time spent in the water were the best part of the day. An unforgettable once in a lifetime experience. Fun, friendly, helpful. Thank you for a fab time! Would recommend to anyone! Awesome! Crew were young people, dynamic, customer service oriented, good information. The first snorkeling in the morning was the best. Good organisation, great meals, good schedule from 7:20 to 16:30! White wine at the end: great idea! Thanks for having motion sickness pills aboard! Appreciated! Crew - 10/10 lovely all day. Lunch was great - loved the time out on the reef. Thank you! The crew were awesome and friendly. Lunch was yummy and healthy. I thought it was perfect. Fab crew! 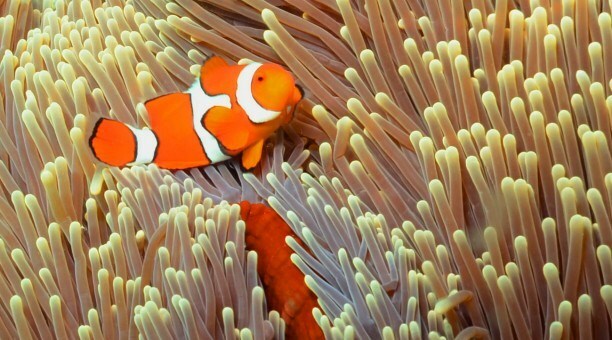 Thy helped my daughter find Nemo! Enjoyed it so much - thanks! Wine and cheese is excellent. Nice relaxed pace and plenty of time for diving and snorkeling. Amazing experience. Thank you all. The crew were excellent, professional, efficient and fun!!! Fantastic trip, great food and good company. Crew were amazing, friendly, engaged, knowledgeable and experienced - just lovey. Loved learning to dive for the first time and being so close to the reef. Highly recommend. Knowledgeable, friendly + fun crew. Snorkelling twice in one day was amazing! Marine biologist snorkel trip was great. I didn't know what to expect. I have never previously snorkeled. The reef + coral + fish etc. were beyond what I would have ever expected. Brilliant experience. I booked my reef trip with Reef Experience. Crew is very friendly, funny and helpful. Loved the sea turtle and marine bio presentation. The best experience of my trip! Thanks for a wonderful day. I will certainty recommend to my friends and family. 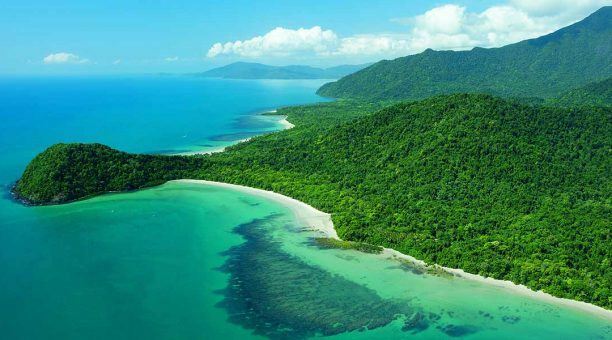 I booked Reef Experience, I wanted to snorkel and see the GBR. The crew was amazing, especially Marine Bio. The best part of the tour was Harry and lunch :) Great experience, great crew, world recommended 10/10. The crew on Reef Experience were awesome! The high light of the day was first time in my life scuba diving with moray eel - how good?! Whole crew works as an excellent co-ordinator and happy and helpful! 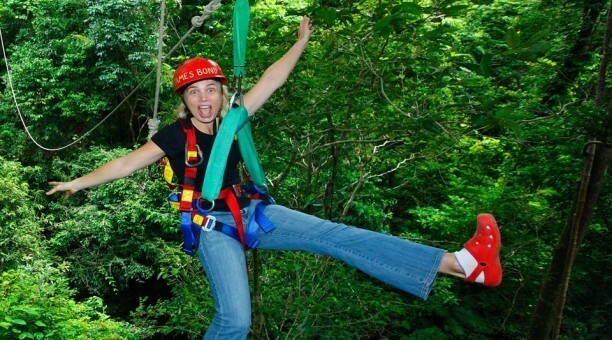 Very safe but also very adventures - could not recommend this highly enough! Thank you! I booked Reef Experience because of good value and good reviews. The crew was awesome! Scuba diving was the best part of the day! Loved it! Everyone is great, food was great, would do it again! 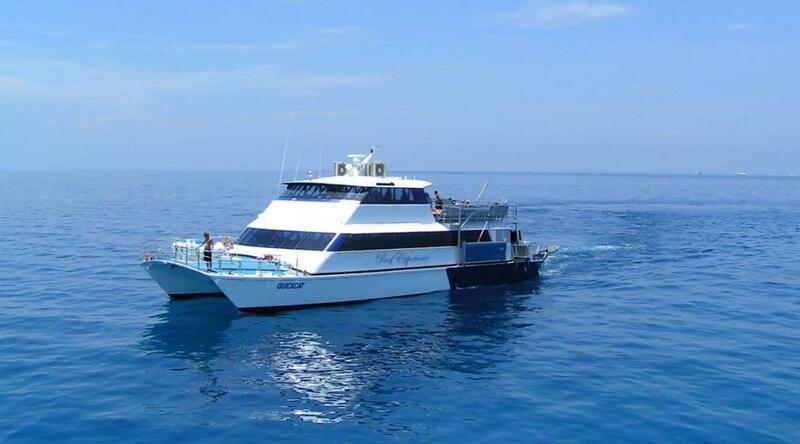 I booked my day reef trip with a boat called Reef Experience a Top Deck VIP because it had great reviews. The crew were very kind, knowledgeable and safe. The best part of the day was snorkelling at the reef. Shiniee was wonderful. Really took care of us on and off the boat! Thanks for an amazing first visit to the reef! I booked Reef Experience as it looked like good experience and value for money. The crew were amazing very friendly and helpful. I enjoyed the second reef experience the most. It was a great day, all of our group enjoyed it and the food was excellent also. Great time with perfect weather. The crew was friendly, and helpful. The food was way beyond my expectations. I was expecting muffins for breakfast and sandwiches for lunch. It was way beyond that! Very impressed with the whole experience. 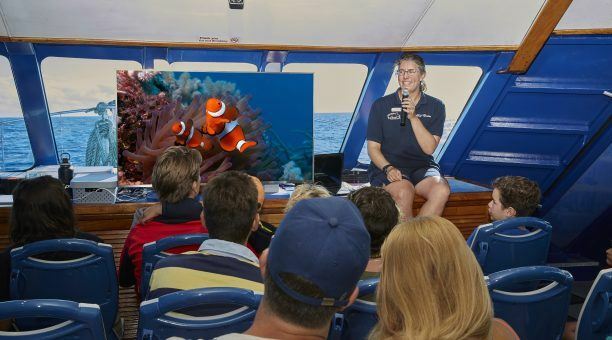 Incredible, engaging, funny, good laugh, educational, welcoming, great team =) The VIP tour with Harry was educational fun + passionate about the reef. Special kudos to Harry, 5 stars!! Thank you for an amazing experience. Experience to remember for a lifetime. AMAZING crew!!! Greg was awesome:) This was the best part of my trip to Australia! 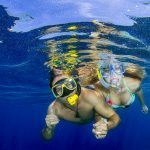 We booked Reef Experience because it was attractive to us, moderate on price, and had great reviews. The crew were amazing, very cordial, great attitude. The whole experience was just fabulous and exceeded our expectations. We'll come back some day and will refer you to our friends & family. Fantastic - helpful, knowledgeable, super friendly, patient, fun-loving. The crew love their job! (And it can be tough dealing with tourists) What a fantastic time! Thank you so so much! Oh! And the food was amazing. Thank you chef Aaron! A perfect day, great team, patient, friendly and knowledgeable, reccomend a day with these guys if you get the chance. The crew are better than amazing!!! Could not have been better!!! Shiniee, Josh and Harry were absolutely amazing. The reef is the highlight, but they made this trip perfect. Everyone was great, but these 3 were really outstanding. Amazing crew, friendly and being in a great help. Food was nice and refreshing. We had a really great time out there. We loved all the minutes in the water ! Phenomenal - helpful, kind, patient, funny, attractive, knowledgeable, passionate, safety-conscious crew. Intro dives and an overall great ambience set by the crew were a the best part of the day. And ok the food! Way better than expected! Thank you! Also, wine & cheese?! What a lovely finish to the day. Bravo. Super friendly. Felt very comfortable as I was a little nervous about getting in the water. They weren't pushy and were very knowledgeable - snorkeling/the hospo on the boat was great! Great crew, great food beverages, awesome day on the reef. Excellent. Crew are great. You guys are doing a great job. Very professional and well balanced. Quite interactive tour. Staff were great. Chef doing a great job. Food was excellent and well presented in a great way. Terrific experience. Fantastic! Thanks to everyone. Shark sighting, introduction to diving, marine biology snorkel - absolutely loved the day. Food was great as well. Thank you! Amazing, really friendly & nice. Snorkeling was amazing (& lunch). Great value for money, would definitely recommend! Absolutely amazing! Diving among the corals was the best. The whole trip was totally amazing. I've enjoyed every second of it. All the crew were fantastic. Professional, friendly & safe. Harry, who looked after us was exceptional. Very knowledgeable, very enthusiastic, and very patient. This was a new experience for me, I felt completely safe. The whole day we were very well looked after. The two snorkelling sessions were fascinating & so beautiful. There was so much to see, I feel very privileged, thank you. The food provided was excellent, freshly prepared. Great crew, friendly, very committed to safety. Thanks for making a great memory for us. We won't forget today!! Fantastic! Very helpful crew, amazing experience. They made sure that everyone had a great time. The best part was snorkelling, being helped by the crew. Keep up the good work. This was over and beyond expectations! Crew are friendly, funny, very informative, super helpful. Always felt very safe. The best part was the marine biology snorkel tour. When Harry found my camera at the bottom of the reef - amazing! I have the biggest love for the ocean, and this tour offered a lovely day out. The crew were so good! Thanks for helping out - thanks "Mac" for being my last minute dive buddy! :) Great opportunity to sneak in a quick dive! Thank you. The food was great, staff attitude was great. Super lovely day out seeing the reef! :) Thank you! Everyone was a legend, all very chilled. Swimming with turtles was the best. Definitely would recommend. Amazing day! Did both intro scubas and had 2 separate instructors who were both incredible! Food was great! Loved seeing FRANK! Attentive, friendly, and very professional crew. Snorkelling with Georgia (marine biologist) was the best part of my day. The food was great and overall it was a very well explained trip. The trip was exceptional... Every part of it was just amazing. I am going to do this trip again with you guys!!! Fantastic (crew)! Ryan and Shinee were amazing! We really feel like we were given one on one attention, and they made us feel incredibly safe while we were on the water. 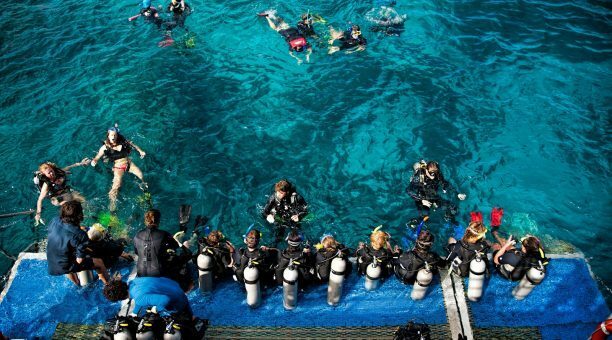 Great weather, great service, and even better diving experience. The food was incredible! We were very surprised and impressed! Thank you for an outstanding experience! Absolutely fantastic crew, very helpful and encouraging to a nervous beginner. The dive and glass bottom boat were the best parts of the day! A great experience after a nervous start. At my age (62) I didn't think I would get to attempt a dive. I will definitely recommend this trip. Fabulous, friendly, helpful, reassuring crew. It was amazing all day - from start to finish. So happy to have had this experience as we only had 2 days in Cairns. GREAT!!! Very helpful, kind, we felt very safe. We really appreciated all your services. Everything was just great! The crew was delightful and super friendly. All crew were helpful. Shinee was so attentive! She was also patient while scuba diving and snorkelling. She made our day even more memorable. Thank you <3 Keep up the great work! We will recommend this to our family and friends. Trip was wicked cool. Amazing experience. Crew was outstanding, engaging, comical, and helpful. 10/10 recommend this trip. Amaze balls! Val was exceptional with our girls. This was an amazing experience. The crew took the time to get to know us and it was the trip of a lifetime. Val was especially great as a guide and host. The crew are spectacular. We saw a reef shark and so many fish. Great tour, food, and crew! I booked with Reef Experience because of the wine/biologist/lunch. The crew were very informative, educated, entertaining. Snorkel was the best part of my day. Everything was better than expected. Thanks for the great experience !!! I chose Reef Experience because of the wine and cheese and for the marine biologist. The crew were hilarious and very friendly. The best part of the day was snorkeling. Dinner/lunch was amazing. Will recommend it to family and friends!!! I booked a day reef trip with Reef Experience for all that is offered (biologist/lunch/afternoon snack/shuttle). Crew were friendly and very informative and well educated. The best part of my day were: the snorkel, the marine biologist; talk. Sheer perfection, you are awesome, don't ever change!!! I booked a day reef trip with Reef Experience because of all the inclusions. The crew were all day friendly. The best part of my day was my dive. I had a fantastic time and introductory diving to the reef. Thumbs up! I booked Reef Experience because of the good reviews. The crew were great, funny staff and helpful. Scuba diving and snorkelling were the best part of the day. Everything was awesome. Great Experience. Thank you! 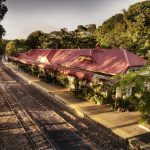 Visiting Cairns made me book with Reef Experience. The crew was very good -10/10. Lunch was awesome. All day was Fab! Keep up the good work! Loved trying scuba diving, great time! Crew are so helpful & resourceful. The best part was scuba diving. Amazing staff & Great day! Great day out. Exhilarating ride out to the reef, great snorkelling, loads to see under the water. Stacks of grub and very helpful and friendly crew. Smooth ride back tired but happy. Ah-mazing. Friendly, funny, kind, and helpful. I would like to thank the entire crew for an amazing experience. Very professional and very helpful. Always a smile on their faces. I would definitely recommend this to my friends. It was a great experience, what an amazing day. 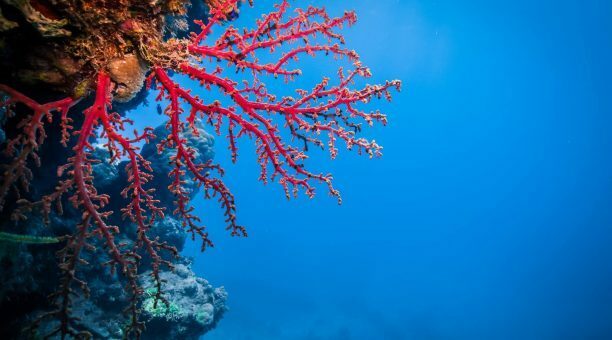 I booked with Reef Experience because I really wanted to see the reef. The crew was absolutely brilliant. The high light of the day was scuba diving. This has easily been one of the best tours I have ever done. Staff are amazing. Can't thank them enough. I booked with Reef Experience because it includes scuba diving and had the longest time at the Outer Reef. The crew was excellent. Frank and scuba diving were the highlight of the day. Awesome job all round, very well organised running the trip, excellent value. The crew were so friendly they know what to do to make us feel safe. I think that the snorkeling was the best a lot of different wildlife and lot of colors. It was like visiting another planet. It was different from anywhere else I have ever been. I always wanted to come here. Thank you for this experience. Amazing. Very friendly crew. Being a non-swimmer, they helped me along for both scuba and snorkel. Would definitely recommend to my friends and family. Thanks for the amazing experience, especially Missy & Fonsy (sorry don't know spellings). Amy was an angel. She was so amazing and we swam all over the reef to see the fish. I couldn't believe my eyes when I saw the reef. Thank you so much. I will bring my family next time! This was on my bucket list! The crew was excellent. Very friendly and informative. I loved seeing Frank the wrasse, the Reef sharks and all the different coral. Thanks guys for an amazing day. Amazing crew. Keep up the fab work. Love the boat and the crew! They took so good care of us and tried to make it as good as possible for all of us! Tried diving, but didn’t do it because I got scared. The crew were then so helpful and made me feel a lot better about myself! Even got a personal guide on how to spot turtles out in the ocean, which I loved! The BBQ was amazing, and they provided really food food, even for those with allergies! Also offered free sunscreen Thank’s for an unforgettable trip!! The crew worked really hard. Great help and support couldn't have done it without them. Exceeded expectations. Thanks especially to Steph. Unforgettable experience. Thank you to all the crew who were great. The crew was great! Lovely and caring. We loved being able to see a turtle! Definitely a highlight of my trip to Australia. You guys rock! The crew were absolutely fantastic! Very welcoming, funny, and full of information. We loved scuba diving and getting back into it. Thanks for taking my fear away! Will recommend to everybody. What a great day! Amazing crew!! Super friendly and helpful for the 1st time divers and snorkelers. The crew were friendly and just awesome. We loved the marine biology and photography captures. The crew was excellent! They gave personal attention and ensured everybody enjoyed!! Very happy with service, food, and equipment! Amazing! Couldn't have asked for more help with being a nervous swimmer, thanks to Nicole, Pablo, and Brittany. Thank you so much for your help and a fab day! The website was so easy for us to understand. The pictures on Facebook were great! We had a perfect day for weather. I booked Reef Experience because of good reviews and liked the website. The crew was excellent! Really thoughtful and helpful. The best part of the day was seeing the Great Barrier Reef. Thank you for all of you. I booked Reef Encounter to have an awesome trip at Great Barrier Reef. The crew was great! Everyone super friendly. Accommodations were good. The food was excellent. We had the Top Deck package and Will was our angel! He was absolutely fantastic. Really patient, made us feel very safe when diving with him, and outside of the water he went above and beyoud to make suer my girfriend and I had the best aniversary celebraiton. Thank you so much Will. We want to come back for our 10 years wedding aniversary in the future. FANDABBYDOZY!! 21 days in OZ, this was our best trip! FANTASTIC 10/10 Had an amazing day! Thank you! Fantastic, super friendly and helpful and so funny! Thank you all! :) Thank you for a really incredible day, the reef and the weather were beautiful but all the staff made it even better, thank you! Excellent! Very friendly and welcoming. Experienced and well organised. Great experience, very well structured. Well done! Excellent! Big thanks to Will for helping me on my first ever dive! Awesome crew and boat! absolutely amazing - all of the crew! Shinee was a great guide and made sure we had a wonderful experience. We really got to see amazing things while snorkeling the reef. The entire experience was incredible. The experience was great! We had booked a rainy day and was very surprised when the crew had suggested we rebook for a better experience. Very happy with the amount of care the crew had for informing us. Nonetheless the day out in the reef was amazing. The rainy weather didn’t stop the experience from being great. We could still see clearly under whilst snorkelling and diving. The crew was very informative and helpful with anyone who had seasickness and just generally very friendly and great! Best part was meeting and getting to touch Frank the fish! Guess you guys will have to book to know who I’m talking about! Thanks for the great experience! The crew were great - energetic. Snorkelling and Scuba where the best part of the day. Great hospitality, food . A Must Do! Crew were the best and most amazing people. This is the best experience I have ever had and I would definitely recommend it to my friends and family. This was our first time on the Reef and it was BRILLIANT! We loved all of it, the whole day, the snorkeling and scuba diving. We completely enjoyed the day, bit thank you to the whole crew! Excellent value for money. The crew were awesome, very accommodating for my 2 year old. We loved the second reef swim. The staff are absolutely amazing, friendly to my toddler, such an awesome day! The crew was very nice and helpful at all times. It was my firs time doing diving and the crew made it a great experience. Seeing a big turtle while snorkeling was awesome, but also diving and being so close to the Reef. Everything was perfect I would recommend this tour to anyone. The crew was the best! The whole day surpassed expectations. Brilliant crew made it a brilliant day. The crew was so helpful and friendly! I loved that I got to see a turtle. I would definitely recommend this tour. Thank you for a fab day! 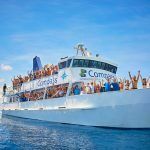 I booked Compass Cruises Day Reef Trip and was transferred to Reef Experience. The crew was excellent. Snorkeling and seeing the reef was the best part of the day :) Service was great all round. Staff was very upbeat and friendly. I would use this service again (no probs). Great day...shared good food and fun with new friends. Appreciated helpful instruction from staff. A highlight of my Australian vacation. Excellent and engaging crew! The dive masters are experienced, careful, and calm. It made the experience great. Wonderful experience will recommend to friends and family!! Thank you!! We booked Reef Experience to snorkel the reef and it was amazing! the crew were very friendly and entertaining. They definitely have this day down to a science. Seeing the marine life at the reef it was definitely the best part of the day. We absolutely loved it! very nicely organised. This trip is the best value! Crew were amazing! couldn't have asked for more help with being a nervous swimmer. Thanks to Nicole, Pablo + Brittany. Snorkeling was the best! thank you so much for your help and a fabulous day! This tour is the best value for price!!! The crew were fantastic! Our favourite though was swimming with a turtle and the intro dive course. Food was really good, loved every minute of the tour! We really wanted to see the Reef and it was fantatic. We loved the coral, the fish, snorkeling and scuba diving! The crew were perfect, friendly people and helped everyone with every little problem. Perfect tour! amazing experience. Great for value, very friendly, well informed and enthusiastic. Niki was amazing, helping me through my nerves about diving. The best part of it all was scuba diving. I was nervous at first but the crew encouraged me and I loved it. It was a great day. I couldn't have asked for anything more :) Thank you! Our friends recommended this trip. Great value for money! Super helpful crew, friendly and amazing with non-swimmers. We loved all of it. This has been so far the best part of our trip! One of my friends recommended Reef Experience to tick the Great Barrier Reef off my bucket list, and it was great. Crew on board were awesome, I got to swim with sea turtles and the snorkeling was great! The experience of once in a lifetime, thank you! cheers. Amazing crew doing their very best to make this a great day and succeeding in every way. 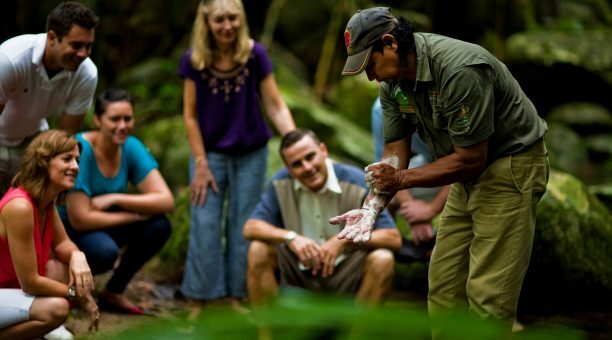 Plenty of time to engage in the different activities thanks to a professional and organized approach. Not only was the lunch really good but this very succesful day was nicely rounded off with a glass of wine on the trip back. This was absolutely one of the best days on our vacation. Everything ran super smoothly, the staff was amazing and the food really great as well. Highlight was the scuba dive. I've been diving before but never with such a calm, relaxed and just all in all lovely instructor as Kaz. My friends have not dived before and one was not able to do the dive because she had issues with her ears, however Kaz made them feel absolutely comfortable and safe and let myself and my other friend explore the reef to the fullest. She was totally amazing! We wish we could have dived all day long!! Thank you for the great day!! The crew are so friendly and funny! I loved my first time scuba diving. Please keep up the good work. We had an unforgettable experience and totally recommend it! Good value for money! The staff was very courteous and helpful. Trip was made beautiful by the crew! Loved the experience, good food as well! Well rounded, excellent! This was a bucket list trip! I had an excellent trip! I would highly recommend it as the crew was spectacular. Very Friendly! The crew has good know-how! Was a perfect tour! Shinee was just phenomenal. Went above and beyond her duties to make our experience. Just superb, will definitely return! The best part was snorkelling/scuba diving... then wine! The crew were lovely, they made the experience pleasurable and memorable. I'm impressed by the hospitality, smile, and competency. From leaving the port to arriving back everything was perfect. All the best and compliments to entire crew! The crew were very nice and approachable. Seeing the oyster and sea turtle while scuba diving were the best part of the day. I has a wonderful time and was so happy to spend the day with Reef Experience. The crew were awesome! They were super helpful & friendly! We had a great day! My biggest concern was safety as my family has inexperienced swimmers. Sam made sure we were taken care of and we had so much fun! Thank you so much for this great experience. GBR is amazing and you guys made sure our day delightful. Especially thanks for encouraging my family to participate and take care of them. Really appreciate it. So great! Amazing food and wine too! Wonderful! The crew were great! So helpful & friendly. Oscar, Will, and Nathan were particularly great! The best part was diving & snorkelling. 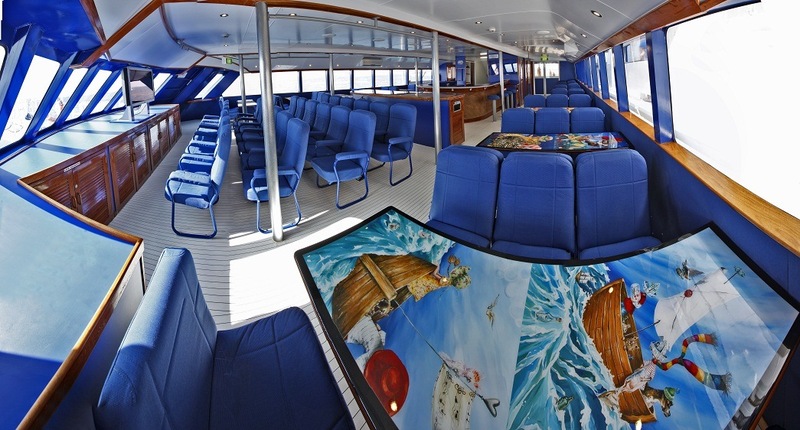 What first caught our eye was the Top Deck Experience and the inclusions. The staff were helpful at all times, friendly, patient and relaxed! Our favourite part of the day though was the Introductory dive. Sheeny was so patient with me. The one on one attention from Top Deck Experience gave me the ability to experience a dive that I haven't accomplished before on other tours. I just loved the whole day. I felt very special and spoiled. Top Deck Experience is awesome if you want to feel special and have that personalized attention. Loved the food as well. :) Thank you!!! I booked Reef Experience because I read lots of great reviews. The crew was amazing, helpful and kind! The best part of my day was seeing a sea turtle. Guys, keep being wonderful! Wendy, Chris and Charlotte B. This trip was a surprise gift from my daughter. The crew were fantastic, great fun and professional. The best part of my day was the scuba diving and the food! I love love Loved my day! Would not hesitate to recommend. I booked because my friend was impressed with Experience. This was an amazing day - one of the best day of my life! Very good welcoming crew. Shinee being the best. Best part of the day was scooba. I booked because my friend was impressed with Reef Experience. It was an amazing day - one of the best day of my life. Very good welcoming crew Shinee being the best. The best part of the day was trying scooba. 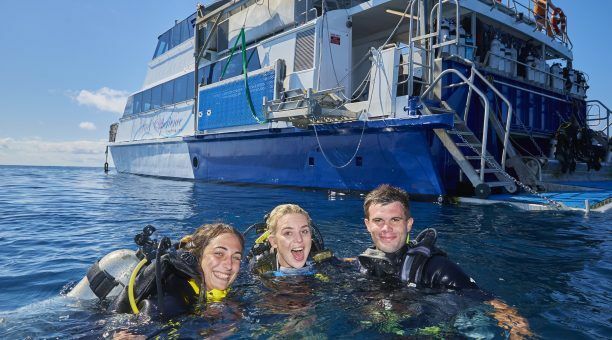 We booked Reef Experience because it seemed good value for money. The crew on board were amazing, very helpful, friendly and knowledgeable. Our favourite part of the trip was the first snorkel dive sight we visited. Absolutely astonishing! The food was amazing, really enjoyable day. I would 100% recommend to friends and family. The staff were so good! Thank you! Awesome. Shinee and the rest of the crew were always helpful and encouraging. I loved learning to scuba dive and snorkel. Top Deck experience is absolutely brilliant. The crew are great, helpful & wonderful! The best part of the day was seeing sea turtles!! Great day, amazing trip, really good food! 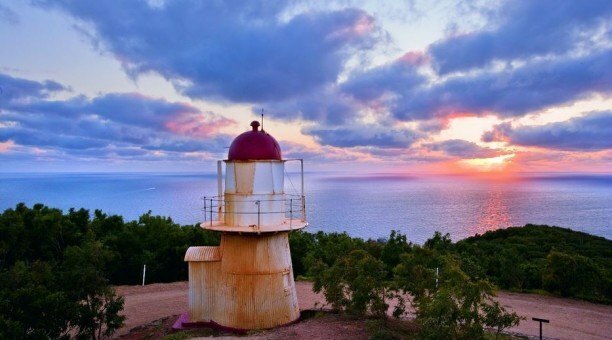 The value for money of this tour is what first caught our eye, and it was excellent! the staff were very friendly, safety conscious and professional. Our favorite part of the day though was snorkeling the Reef. It was wonderful! The crew were awesome. They took the time to make sure everyone was catered for. Nothing was too much trouble for them. Thank you very much! The crew were excellent. The best part of my day was my scuba dive with Meg. She was a great guide and excellent help throughout the day. We didn't want for anything, highlight of our honeymoon. Reef Experience has the best crew ever! They were friendly and very caring! We loved snorkeling on the second reef an going on the glass bottom boat. There was great food on board and plenty of it. It's the best cruise boat we have been on. Beats Hawaii. The crew was great! Fantastic personalities, very friendly, informative, and cute! 11/10 would totally recommend. We loved the whole day -- even the informative talks. Keen to go again next time we are in Cairns. Would love to do this again! We had a great time on Reef Experience. The crew is competent, helpful, friendly and helpful. The food was delicious. The reef at both sites was spectacular. We've done a lot of snorkeling in many places and this is as good as it gets. Highly recommend this locally owned boat and crew. 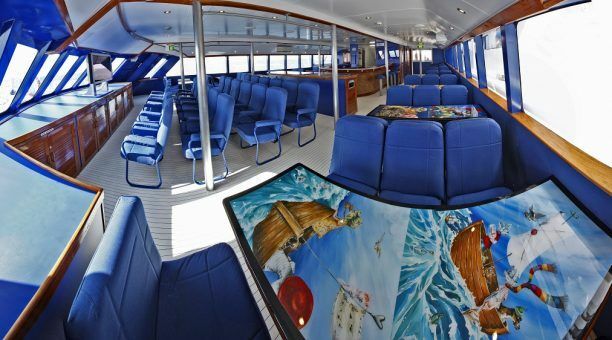 This boat only takes about 100 passengers so you never feel crowded on the boat or in the water. The staff was fantastic! Super friendly, really helpful, and a lot of fun to spend the day with. The food was delicious and there was plenty to eat for both the breakfast and lunch. The introductory scuba was a great first experience and our instructor was really patient and made sure we we're completely comfortable the whole time. 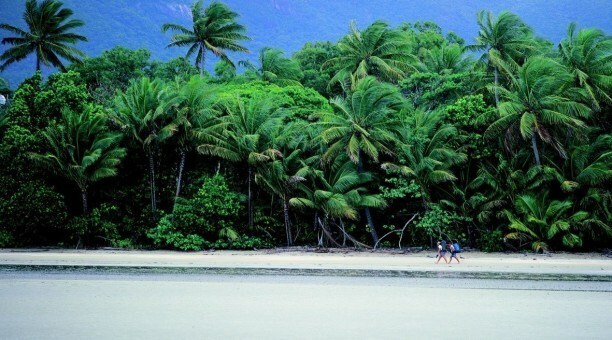 This tour provided snorkeling, diving, food, transportation and it was reasonably priced! The crew were fantastic! They explained every aspect of the day very clearly and made us feel very welcomed. Our favorite part of the day was Scuba diving. I had never done it before and our instructor was a dream! and we were able to see several awesome animals during the dive. Thank you guys for a truly memorable day! The crew were 5 star, awesome, amazing, couldn't be any better. Our favorite part of the day was everything about it. Our Top Deck package was fantastic and made our experience so special. Thank you!! The crew were helpful, friendly and knowledgeable! Our favourite part of the day was to snorkel and dive at the Great Barrier Reef. It was definitely a brilliant experience, thoroughly, enjoyed every second of it. We will definitely do it again! The crew were fantastic! Incredibly friendly, helpful, and all very positive & knowledgeable. Far exceeded our expectations. We came to celebrate my husband’s birthday. The crew were friendly, happy, attentive and brilliant! It was a remarkable day. We’ve been to the Reef a few times and tours, etc. This is by far the best organized and friendliest tour of any kind we have been on! EXCEPTIONAL. Amazing! Crew member Karly was just incredible. Can’t thank her enough. 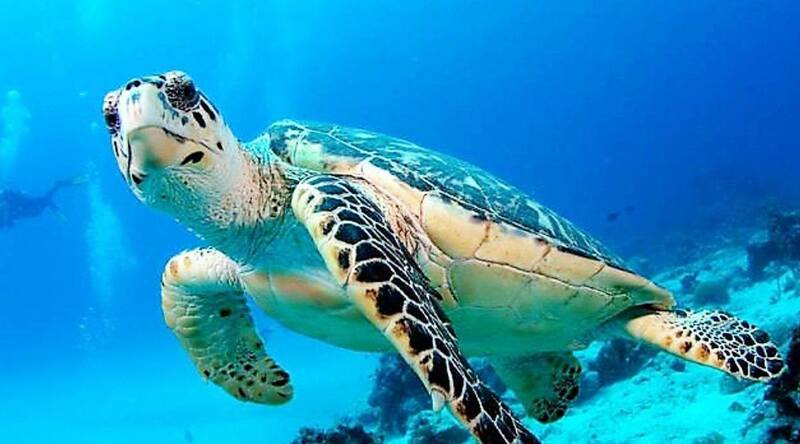 I loved swimming with a turtle! Amazing day. Very friendly and helpful crew! Good vibes. We loved getting to go scuba diving! We all had a fantastic day, wonderful crew, fantastic food, and plenty of time to explore both Norman and Saxon reefs we enjoyed every minute. Highly recommend exploring the Reef Experience, thank you for a fantastic day. The service was wonderful, the weather amazing, the crew outstanding. We loved scuba diving and the glass bottom boat! A great family outing and great service from from the inital booking. Excellent tour, good food, great crew...GREAT!!! The best part was Shinee showing us and guiding us to the best places. Amazingly friendly and very accommodating when one member of our party needed help snorkeling. Keep up the good work! We will bring more of our overseas friends on your tour! Thank you team. I was highly recommended to book on Reef Experience. The crew was excellent, Ryan is a great guide, very patient. All of the crew were very friendly and helpful. Definitely diving and snorkeling were the best part of the day. My first time experiencing it. Seeing the reef up close. Was beautiful as well as spotting the whale :) Really enjoyed my day. Would definitely recommend Reef Experience. It was a birthday present - holiday. The crew was wonderful!!! So friendly and attentive. The highlight of the day was seeing and swimming with a turtle. Shinee was the best! Amazing experience and Shinee was so helpful and friendly. Amazing! Vey helpful and very informative. The best part of the day was scuba diving. Staff couldn't have done a better job. I was so nervous about diving and they made me feel so at ease! Amazing experience. Very attentive and safety conscious. The dives were wonderful. Food was good and plentiful. Wine and cheese a nice touch. From the 7:00 am shuttle bus to the end of the day, service was excellent. Overall it was a great experience and great value. They even sent out a dingy to retrieve a patron's hat overboard. The best part of my day was the glass bottom boat tour where we spotted a turtle, and the marine biologist talk. It was a great experience, thank you for recommending travel sickness pills - we all enjoyed the easy hospitality of the whole day. Food was very well done. Thank you for allowing us to enjoy the reef, along with our 5 year old! The crew on this boat are AMAZING!! The best part of the day was my first scuba dive, and the guided snorkel was very cool too! Thank you for making my last day in Aussie one to remember! Cheers! Great day out with Reef Experience. Crew could not have been more helpful or obliging with first time scuba diver and accompanying elderly parent. Highly recommend their deal. Real value for money. Snorkeling the reef was a lovely experience. Water was warm and reef was spectacular. The crew are fantastic, friendly, helpful. I'd recommend this company for a great day. Food was amazing & plenty of it. Thank you! Because of the instructors patience and understanding I was able to dive. It meant so much to me and I had a great experience because of it! Keep it up! Thank you for the unforgettable experience! Michelle was amazing!! The crew made new experiences fun, easy & smooth! AMAZING!!! The best part was being able to jump in with scuba gear into the arms of a stranger, yet highly professional instructor. I can hardly swim and still felt so comfortable and safe!! Thank you Jackson so much!!!! Getting into the water and snorkeling is the best part of the day. The crew are awesome, always checking on us. Thanks heaps to the team - really made the day great. The crew were great - very helpful and friendly. We did 2 guided certified dives with Ethan. Initially nervous, but great way to get back into it. 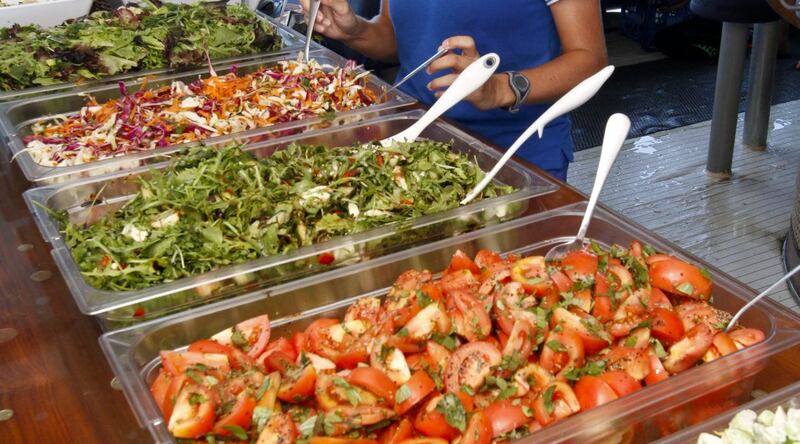 Food was excellent - I expected it to be basic, but it was lovely, especially the salads. This tour was really good fun! The best part was SCUBA diving for the first time. The crew were really great as well, made me feel calm and comfortable. Great day, enjoyed by the whole family. The crew were excellent. The best part of the reef was trying the dive and snorkeling on the reef. Love of the ocean and sea life made me book Reef Experience. Friendly crew, relaxed and not over behaving, have a casual but fun experience. I swam with a TURTLE!!! Both swim points were unique and different. Highly recommend, a must do day. Food fabulous. Great value for money. All the crew were very helpful, knowledgeable and friendly. I really enjoyed the experience and the way the crew cared for everyone. My daughter (12) hadn't dived before and they were extremely gentle with her. Thank you. Best reviews and marine biologist and dive. 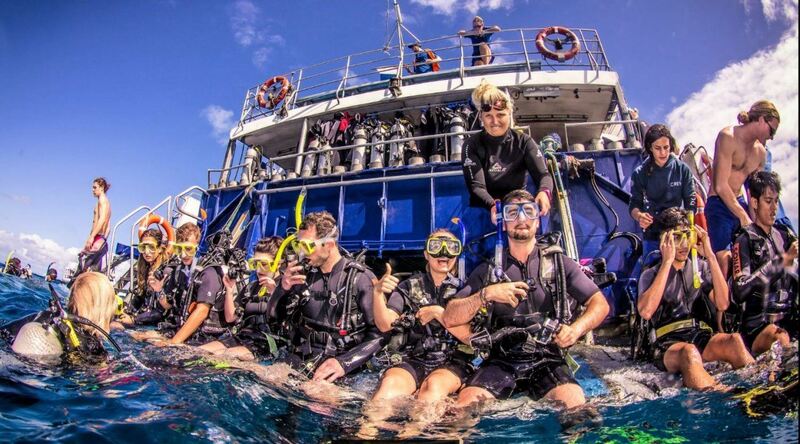 The crew was excellent, very efficient, friendly, enthusiastic, respectful of the reef. Could not ask for more! The highlight of the day was seeing the reef and white fin shark, turtle and multi-coloured fish. Thank you - was very impressed with the tour, what was included - talk from marine biologist, dive, food, refreshments. Staff were exceptional. Reef Experience looked like a good deal! Crew was very helpful and excellent. The best part of the day was the overall experience. I enjoyed every bit of the day. Great crew, good food, helpful. 5 star experience. Reef Experience was recommended to me, and it was the best! Crew is excellent, professional, smoothly fun operation, looking after us well. Excellent customer service. Snorkeling was great! Feed was great! Atmosphere great! 10 out of 10 well done to all!! I booked Reef Experience because of the good reviews and best value, quality tour, good for non swimmers and weak swimmers. Crew was patient, attentive, friendly, safe. The best part of my trip was learning to snorkel, trying diving for the first time, seeing reef. Thank you so much for an amazing, once in a lifetime expeience. 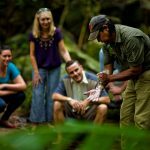 Keep providing quality, friendly tours! 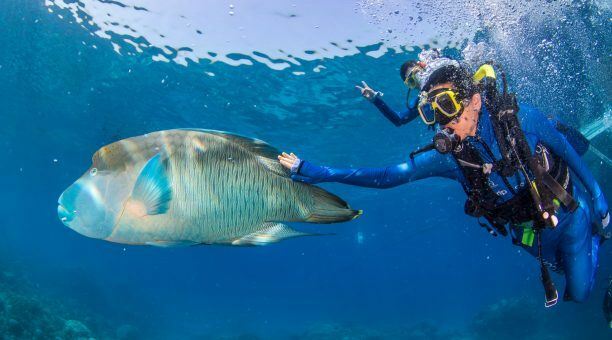 Awesome experience swimming with fish! Great food, great crew. Had a great time! Friendly, helpful, informative - made us all feel safe and able to have fun!! Learning how to snorkel was amazing! Memories for life! Excellent, well organised day. Thank you to all the crew! I booked Reef Experience through recommendations. Crew was very friendly, helpful and attentive. I am a poor, nervous swimmer, so having me to help was brilliant when snorkeling. Fantastic. The best part of the day was snorkeling on the reef. I would recommend this. The boat was very nice. I chose Reef Experience because I wanted to experience the reef. All crew members were excelent and helpful. I saw the acture reef first time and natural beauty inside the water. I had a personal instructor Shinee, she was really helpful and caring. If she would not be helpful we would not be able to see the reef experience. The crew were supportive, informative, professional and fun. Couldn't pick a "best part of the day" - all was good; it was an excellent experience! Fantastic crew, great vessel, really good gear, all round wonderful experience and would highly recommend !! Everyone was very friendly. Shinee looked after out every need. She was knowledgeable and patient. Food was amazing.I would recommend this to my friends. Michael was amazing. Great guy, made me feel welcome and safe. Shinee was nice & helpful. The Barramundi, fabulous - good chef. Top deck experience really made us feel special. Memorable experience! Would thoroughly recommend to anyone wanting to experience the reef. The crew are very approachable, helpful, happy and knowledgeable. Will be recommending this company/tour to my family coming in the summer! Thank you all for the amazing experience. Had an amazing day on the reef with reef experience. The crew were amazing and were able to cater for everyone’s ability from non swimmer to qualifelied diver, with patience, care and humour! The team provided great food and were on hand all day to help or answer any queries we had. A fantastic experience and I would happily book with them again and have no hesitation in highly recommending them. 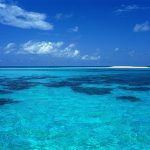 I relied heavily on internet reviews when deciding what tour company to go with for a day out on the barrier reef. Reef Experience did not disappoint. It's quite a large boat, but takes a lot of passengers so expect to sit with strangers throughout the day. 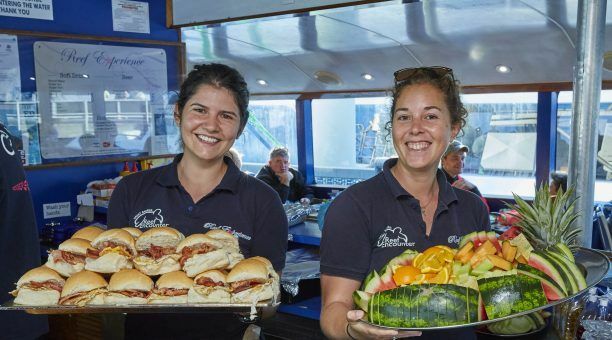 They served plenty of food; bacon and egg rolls for breakfast, sausages/chicken/steak and salads for lunch and tea and coffee whenever the boat was stopped. 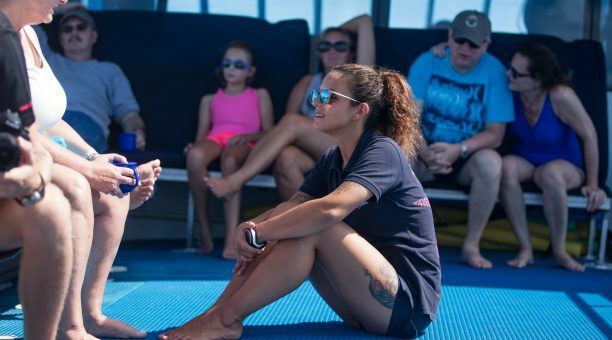 The staff are very safety focused and that really makes you feel comfortable on board and out in the reef. I Scuba Dived for the first time ever, and I was very nervous but with the patience from Scuba Instructor Benat, I felt very at ease and had a wonderful experience. 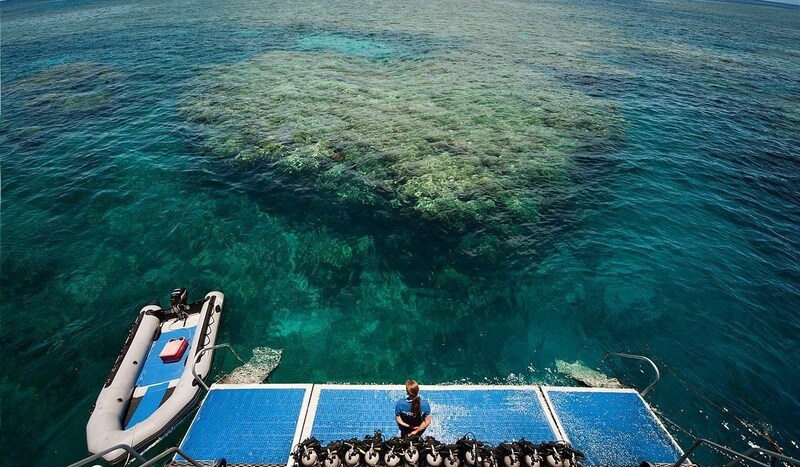 The glass bottom boat was a great way to get a different view of the reef and I would definitely recommend. Everyone really seemed to love their job and it was really lovely to be a part of that for a day. 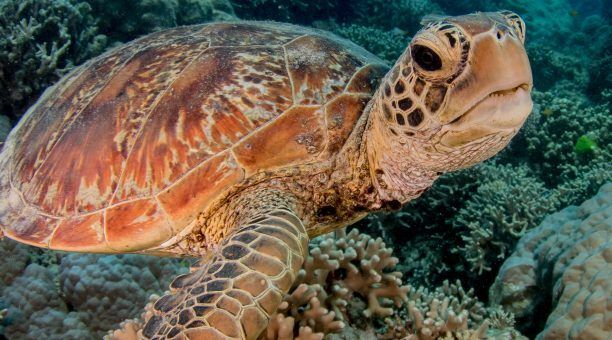 There's plenty of extras you can opt for; hire an underwater camera, buy professional underwater photos, marine biology tour, extra scuba diving so expect to spend a little more money if you want some of those extras. Photos were a little pricey, but no different to any other tourist attraction you would go to. I purchased $45 worth of photos but it was so worth it, to have fantastic images of a wonderful experience. I booked Reef Experience because I read lots of positive comments. The Crew was Epic. The best part of the trip was second dive. Thanks to all the crew, you guys are cool! Good experience, I will recommend you for sure. I booked Reef Experience as I wanted to experience the Great Barrier Reef with my friends. Crew were cheerful, super helpful and informative. Completely approachable and had good sense of humor. The highlight of the trip was seeing two sharks and a turtle on our marine life tour with Michelle. Michelle was amazing. She was full of knowledge and facts and did her best to make our time happy and enjoyable. I booked Reef Experience because we heard amazing reviews!!! The crew was unreal. Everyone was great energy and are very helpful and happy. Tylah was awesome with scuba diving. The highlight of the tour was my second scuba dive and seeing shark, turtle and nemo!!! Food was great, service was great, banker was great. Such a good day !!! The best part of the tour was snorkeling. Crew was very pleasant. I had fantastic time, the crew were enjoyable and attentive to all the passengers. full of positive energy - professional !!! Very friendly, approachable, supportive and skilled crew. Diving and marine biology tour was very interesting and informative. "The crew were great! The best part of the day was snorkeling. The staff were helpful, great, friendly and we will be back"
"The crew were excellent. Friendly and obliging. The best part of the day was snorkeling. We had a fantastic day!" "The crew were very good; both friendly and helpful! The best part of the day was the intro scuba dive. The staff made things easy and fun! 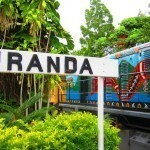 The lunch was also very good, we would definitely recommend this tour to others." "The crew were amazing & friendly. The best part of the day was scuba diving!" "The crew were attentive, approachable, and knowledgeable. 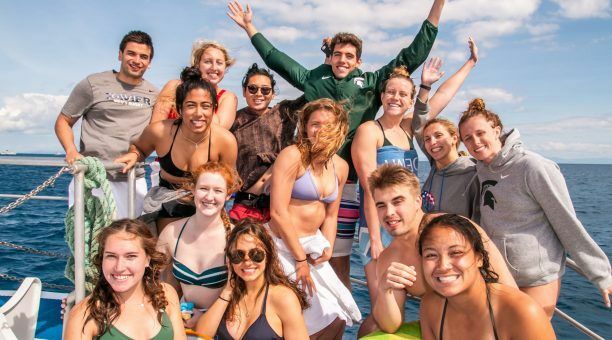 The best part of the day was the marine bio tour and the length of time you have to snorkel!" The crew were Amazing! So friendly. Had a blast! Scuba diving was the best part of my day. Loved this experience! Thank you!" "Crew were excellent, best people, helpful, excellent job, what else?? :) Dive for first time and snorkelling. It's so fantastic! So CONTINUE best crew :D "
Scuba!!!! I can't believe that I finished it! It was so fantastic! I really appreciate the crew. This is the most beautiful memories!" Excellent crew. Harry and Michelle were very knowledgeable and very attentive to their customers on the biology tour/snorkel. There was a crew member with a dark beard who outdid them all though--he was so calm and kind. Amazing work! The first snorkel was the best (cuz it was new--the whole thing was amazing!) The customer service and extremely attentive staff were out of this world. I had two small panic moments and both were immediately noticed and addressed before I could say anything. I felt so safe THANK YOU! "Amazing crew especially Kera for helping me so much in the water. Snorkelling was awesome"
"Awesome and great, Fan Dabby Dosy. Learning to dive for the first time was the best part of the day"
"fantastic crew! everyone was calm and low key reassuring and encouraging. They made everything great. I snorkelled in the reef being surrounded by fish. I only see in aquariums". "very helpful, friendly, knowledgeable and professional crew. I was able to Scuba dive for the first time"
"Crew were very pleasant! professional. Scuba diving was the best thing. Thank you so much for such a wonderful experience"
"Really friendly crew, always helpful and informative. The snorkelling and glass bottom boat tour were the best part of the day. Thank you for an enjoyable trip"
"Friendly crew. 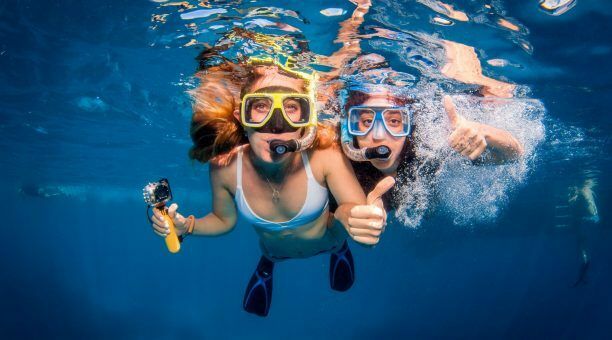 Snorkelling the reef! I was the last one out of the water. This is one of the best experiences of my life"
The crew were very helpful, hospitable. 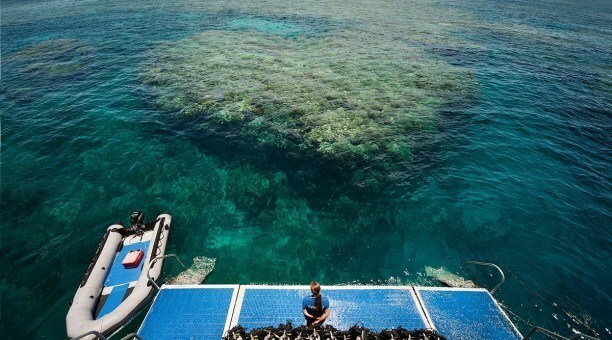 Glass bottom boat to reef was the best. All the crew were very caring and considerate, Kera was particularly very caring. The crew were great and helpful and funny. The scuba diving with Kaz was the best. This was value for money - we wanted something that included scuba diving at no additional charge. Had the best day on the reef. Amazing staff, so friendly and helpful. I chose Reef Experience because of value – one all inclusive price whilst the other companies visiting the Great Barrier Reef start with a trip price and then add reef levies, bus transfers, diving, wetsuit, glass bottom boat etc and people end up paying a lot more for less. Reef Experience exceeded all my expectations! Everything is provided – even the sunscreen. Reef Experience’s crews’ passion for the reef is by far their best asset. 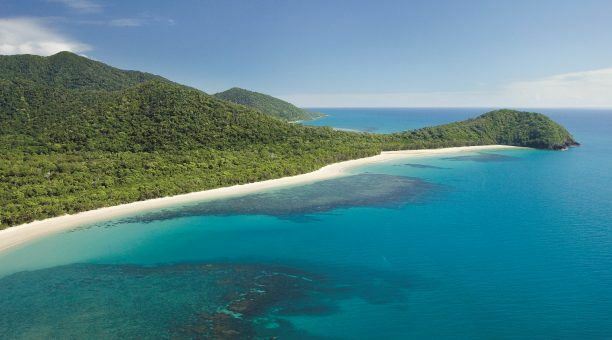 My partner can’t swim well and the crew got in the water and assisted him see the Great Barrier Reef. The marine biologist was knowledgeable and my highlight was giving scuba diving a try! I would recommend this tour! Lucy, England. 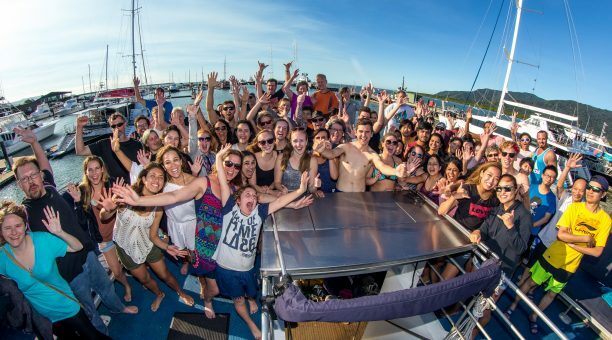 Best reef cruise in Cairns!!! Lovely staff, great food, and no hidden costs. I wasn't sure about a scuba dive but after all the information given by the staff they got me so excited. As it is all inclusive I was able to give it a shot and I loved it!! Staff were very attentive to the need for medication given the ride out to the reef was predicted to be rough. I took advice to take meds the night before and in the morning and was blissfully able to enjoy. Those who were ill were so well looked after that they were able to recover and enjoy the dives. The lunch was great - and nice to have us vegetarians catered for - they kept it separate so food wasn't stolen by those hungry meat eaters. I was very appreciated by all of this. Best reef experience ever! !